Allergies. Always a fun thing, and something which I have lived with all my life. I mean I am allergic to pretty much everything: apart from having bad asthma and being lactose intolerant I am also allergic to tree pollen, grass pollen, dust mites, strawberries, kiwis, pineapple, cats, dogs, horses, rabbits etc etc…..and NUTS. Up until fairly recently I’ve always been pretty ‘lax about it all. I mean, sure, it’s annoying having to chug down antihistamines by the bucket load all year round, and being all itchy and stuff is not much fun, but all in all I have been pretty unconcerned about it. In spite of having been rushed to hospital a number of times, I’ve just never really taken any of my allergies particularly seriously, never thought of them as something potentially life-threatening. That is until a little while ago, when, having inadvertently eaten something which contained nuts at a seder meal, I went into anaphylaxis. Not knowing all that much about anaphylaxis I figured that all was fine and well; the adventure was over, I was exhausted and just wanted to get home and to bed. But the doctor insisted on me hanging around. By the time I finally got discharged it was just gone 2 a.m. Had I known at the time about the high risk of anaphylactic relapse once the adrenaline stops working, I probably would not have badgered the doc to discharge me ASAP. I was clearly in shock, because while waiting for the doctor to agree to discharge me I updated my Facebook status with a comment about being at A&E of Hospital X, when in fact, it later turned out I was actually at Hospital Y. Just as well that I turned down my friends’ very kind offers of coming out to see me, ‘cause I would have sent them to the wrong hospital. The day after, I was still pretty blasé about the whole thing, joking about it with some friends I was meeting up with. Even their telling me off for not ringing them had much of an effect. It wasn’t until later that evening that it finally hit home: I could have died. In fact, had the stranger on the bus not acted as quickly as he did, I most likely would have. As a consequence I have now been to see my GP and have been issued with an EpiPen and strict instructions to never ever take any risks with nuts. I have trained friends and house mates alike on how to administer the injection, should I be unable to do so myself, and I read food labels religiously. This experience really has jolted me into action, into taking my allergies seriously. And it has also highlighted something quite important: that although I in an odd way feel almost OK with the idea of suicide, should life get me to that point, I would not want to die without feeling that I was ready for it. I’ve spent a number of sessions with A. talking about this. About the difference between choosing to die and just dying. I know it’s a bit of an odd concept, but in many ways it makes sense. It’s not the dying I’m necessarily afraid of, it’s the not being ready, the fear of not being given the chance to say goodbye to those I love. This, by the way, should not be interpreted as me saying that I am going to kill myself tomorrow, or even the day after that; it’s just a way for me to explain why, suddenly, I feel almost paranoid about eating things. It’s that unpredictability factor, the inability to control things. I can check and double-check food labels, but there are no guarantees. And it really scares me. 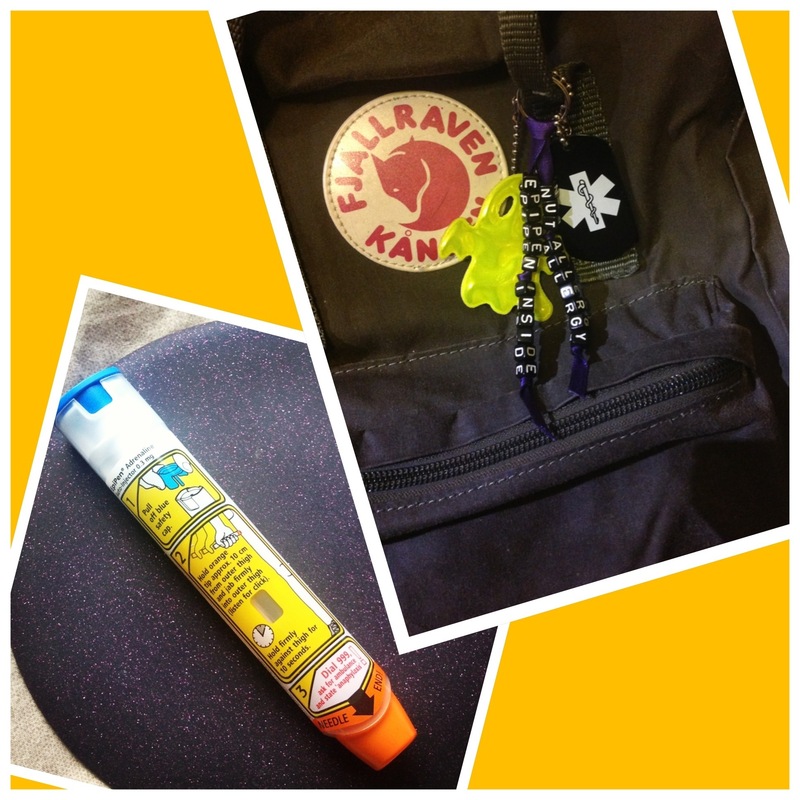 So, from now on, my EpiPen and I are joint at the hip. PS. Why oh why is word check telling me I mean ‘profylaxis’ every time I type anaphylaxis..?